We meet with Robert König, co-founder of TAPE OVER, at his Berlin-based studio and talked about the organization’s electro club origins, tape as an artistic medium, and the process of growing an international tape art crew. It’s not every day that you hear of an international business getting its start at electro-clubs. But in a city where the nightlife and creative pulse are intertwined, it isn’t crazy to think your next venture might be the result of a late-night conversation. What started as Lamia Michna’s idea for a class project quickly evolved into a new medium for artistic expression at clubs and festivals. In these early days at the clubs, co-founders Lamia and Rob were easy to spot in a crowd. Not only were they taping on the club walls, but also on people’s faces and bodies. Rob describes this use of tape as a type of makeup and says the duo always arrived...taped. Partying here [in Berlin] is a creative thing. It's not just about going [to a club] to have fun, but also about the people you meet. It's about the musicians, artists, and others who use the space to express themselves and do something creative. It’s a place where you have a lot of freedom. For us it was normal, but I notice it’s not the same feeling, atmosphere, or group of people in other cities. For example, in New York, you go out to party and then you go home. In Berlin, the club opens on Friday and closes on Monday so people have time (and yes, they're probably also on drugs). They are more open to meeting new people. It's the mindset that connects the people and the possibility. As they become more known, the business-side of the project grew and they decided to establish TAPE OVER Berlin officially in 2011. Soon after, brands began approaching them to work on commissioned projects. Today, they work with major brands and organizations across the world (including Adidas, NIKE, Converse, Vodafone, Telekom, Hermes Mercedes, Audi, BMW, Jaguar, Porsche and Red Bull) taping objects, people, and spaces with their captivating geometric creations. Today, TAPE OVER consists of 10 tape artists, making them the biggest tape art crew worldwide. Rob attributes the growth of TAPE OVER to finding the right people to work with. As for the others who have joined the crew, Rob explains, “it just happens on the way. It's why we like collaborating. You can see if the energy and the chemistry is right. If it is, we invite them to join. Collaborating with other people always makes work more interesting so we love to do it." It’s evident that Rob doesn’t take his job for granted. He says, “I love my job. On my ideal day, I would work on this. I hardly consider it work. Like everyone tells you, it’s about the team, about passion, and putting the time in. This has everything." The TAPE OVER Berlin team are pioneers in using tape for art, and they're constantly experimenting. Beyond taping walls and bodies, they are always looking for new ways to connect with other art forms. One of their favorites methods is what they call "Tape Mapping," where video mapping and tape art work together to create enchanting visuals. To work with Tape Over Berlin, reach out via their website. And keep your eyes peeled, their work is all over the world! Nguyen Tho (aka Chicko) takes us on a cross-country graffiti tour of Vietnam and share where he finds inspiration in Ho Chi Minh City. Will Phu Quoc become an Island for Art? Will this Vietnamese island become a destination for contemporary art? Peter, owner of The River Mouth and The Phu Quoc Gallery of Contemporary Art on the island hope so. From tagging in Paris to festivals in Saigon – the journey of Suby One. Suby One chats with us about graffiti crews in France, his Vietnamese roots, and building an art scene in Saigon. After a beautiful hike on the Rocky Mountain track near Wanaka, we had one thing on our mind: a refreshing beer. On our way back to town, we stumbled upon Rhyme and Reason Brewery. 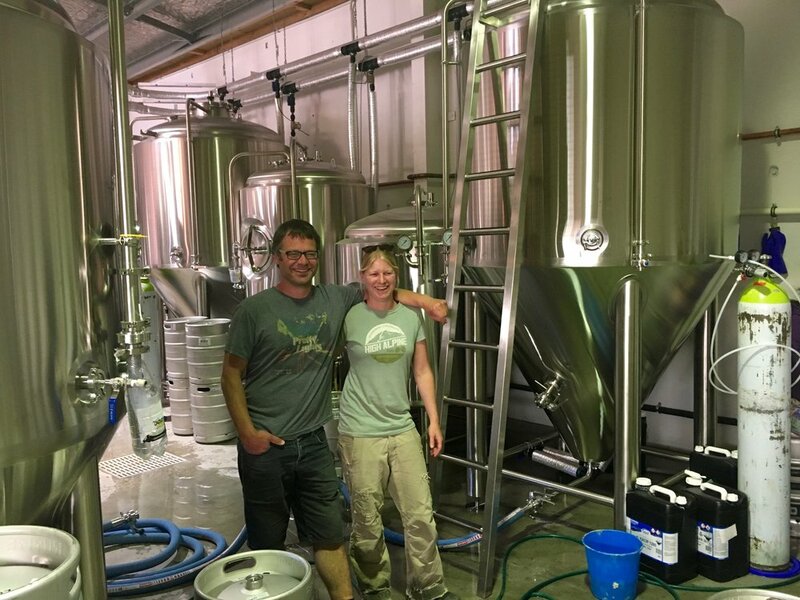 Started by Jessica Wolfgang and Simon Ross just seven months ago in a warehouse space on 17 Gordon Road, they are already producing some of the country’s best beer. We couldn’t believe both the quality and quantity of beer they’ve been produced in such a short time. We were delighted to come back later in the week to share a beer and chat with Jess, Head Brewer and Co-Founder. What got you into the brewing industry? It was just serendipity. They had an assistant brewery leaving...and I said “hey, I love working in hospitality and in bars, and would be quite keen to see how beer is made.” I ended up just starting there, power hosing the floors and [helping] with lots of breweries and tastings. I eventually got invited to do some brew days and just got hooked! What made you start the brewery seven months ago in Wanaka? Wanaka is an expensive place and you can’t just work in hospitality and pay off a mortgage, or even pay for petrol here. We needed to become business owners to be able to afford to stay here. We’ve always wanted to do our own brewery...he (co-founder Simon) has lots of friends here, and we’ve been visiting Wanaka snowboarding off and on for the last 14 years. We finally saw summer here, and we found it was insanely busier than the winter and just as much fun. There was almost more activity in the summer...we thought, “this place is brilliant! We can ski in the winter, mountain bike in the summer, float, camp hike—it just ticked so many boxes. New Zealand has such an epic beer scene as well, so it didn’t take too much arm twisting to get us to stay in Wanaka. It was just about finding a premise once we decided to stay here and start a brewery. How did you find the space you’re at now (17 Gordon Road, Wanaka)? A carpet cleaning company was moving out of the premise, so we just swooped on in...got on the phone with the landlord and said “we want to start a brewery, lease us your place!”...they thought, “well if you’re starting a brewery, you’ll probably keep it really clean. You guys can have it!” They were actually excited that we were starting a brewery and a bar. Can you tell us a little bit about the rise of craft beer in New Zealand? Even when I first started brewing eight years ago, you were constantly talking people into trying new (craft) beer and explaining why it’s a bit more expensive than the off the shelf commercial beer. That wasn’t that long ago. I think New Zealand is a little bit ahead of Australia, the scene is a bit bigger over here even though it’s a smaller country. In the last four years it’s really taken off (in New Zealand). The number of breweries that are growing is on the increase. Commercial beer has hit a plateau but craft beer is rising. I think people are more careful about what they are eating and drinking these days. There’s so much knowledge and information that people can make the choices as to what they want to drink. That’s good for us. What’s the brewing scene in Wanaka like? It’s good! Wanaka has six breweries. Everyone is quite small, we’re a 1,200 liter brewery, I think Wanaka Beerworks are about 1,000 liters, Ground Up just bought a 1,200 liter brewery. There’s a couple of garage operations as well. Ground Up is just across the road from us which is pretty cool. We’re constantly borrowing bits of equipment and ingredients from each other. We’ve brewed a couple of beers together. One of our most common guest taps is from Ground Up. I keep saying that we need to apply to get the street name changed here to Brewery Lane! Brewery Lane has a real ring to it. How does collaboration in brewing work? Brewers love to collaborate! Brewers have so much fun together and it’s always good fun brewing with other people. There’s always new things you pick up, whether it’s mixing those hops with these hops, or even new techniques in processing. It’s always a fun brew day if there’s a couple of extra brewers around. It’s always a bit wacky! I’ll let the dog run around and go crazy and then just come up with the recipe there, just sitting in the back of the car. The dog is happy, and the ideas start flowing! How do you come up with ideas for your beers? We’ve got the Christmas pudding beer on tap right now (December 2017), and that came from wanting to brew something for Christmas and then having a look at what’s on the Christmas lunch or dinner table. I love ham, but don’t really feel like making a ham flavored beer. And then there are all sorts of things, like Christmas pudding. I looked at my mom’s and grandmother’s Christmas pudding recipes and thought, “Yep, honey can go in there. Yep, I can get some chocolate in there, yes figs, plums, raisins, all of this stuff can go in there.” It’s just about figuring out what part of the process it’s going to be best to add it to. Normally with fruits and spices I like to add it to the end of the boil. That way it actually gets cooked up, the flavors get released, and it gets sterilized so you don’t end up with any bugs getting into the beer with the brewers yeast. The Christmas pudding beer is on tap now and it’s literally like a liquified pudding, which is cool. I want to do a beer version of Jamaican spiced rum. I want all of those beautiful spices that are in there. We want to serve it in a daiquiri glass with a pineapple wedge on it. I want to do it so I can call it Jamaican Me Thirsty. I’m pretty much making this beer for that name! Where do you find your inspiration in Wanaka? Everywhere! I used to come up with recipes while cleaning kegs. But I find it really hard to think while I’m cleaning kegs in the brewery because now I’m thinking mostly about business stuff. So now I need to leave the brewery to come up with new recipes. Normally I’ll grab some old books and recipes that have some information I need to create this new idea. I’ll grab my dog and choose a place either at the lake, or down at the forest, or at the river, or wherever I feel like at the time. I’ll let the dog run around and go crazy and then just come up with the recipe there, just sitting in the back of the car. The dog is happy, and the ideas start flowing! What is the creative community of Wanaka like? Lots of creative people here. Like I said before, it’s an expensive town to live in, but it’s because everything is on your doorstep…so people want to stay here and you have to get creative to figure out how you can afford to. That’s why there are a lot of people with their own little businesses. Lots of web designers, graphic designers, occupations where you can work from home or from a shared office space. Lots of creative and talented people around. What beer are you most proud of making? The Kiwi Kolsch. The Kiwi Kolsch is so delicate, and approachable and non-offensive. Every brewery should be making a Kolsch. It’s the go to beer. It’s a beer that you can have for breakfast, when you’re hungover, when you’re celebrating, when you want a session, everyone loves the Kolsch. Everybody thinks the Kiwi Kolsch has Kiwi in it though, so we might have to change the name to the New Zealand Kolsch. It’s just a beautiful style. It’s a really simple recipe. I’ve been brewing Kolsch for eight years...I’ve probably brewed more Kolsch than anyone outside of Cologne, Germany. You just need good ingredients. All German malts, it’s pretty traditional, except that I’m adding New Zealand grown hops. No one really notices, but I usually change the hops every time I brew this beer…this beer is an ale brewed as a lager. So it is an ale yeast, but we’re using a lager malt, which is lovely and clean and has a beautiful, sweet honey flavor to it. We use cooler lager fermentation temperatures and it just throws this beautiful, fruit-salad sweetness into it. The Kiwi hops we use kind of have Sauvignon Blanc type gooseberry flavors to it, and that works out because I find the Kolsch to be the champagne of beers! What would you want people to say about Rhyme and Reason? I want them to say it’s fun! It’s all about the atmosphere here, we want to create a venue for conversation. Somewhere that’s a little bit different. Wanaka is a very busy town, so this is a place for someone to find a chilled out spot that’s a bit of a hideaway. You can come and escape here, hang out with the bartender. The bartender quickly learns your name and your drink. It’s about the experience here, and the beer is good. And it will keep getting better! Czech Photographer, Alena Kotzmannova, shares her perspective on place, identity, and memory. This director infused the museum with a dose of innovation and made the space a destination. Amsterdam-based artist shares her journey from rebellious teenager to world-renown portrait artist. …because there's no greater insult to creativity than the word generic. If you live in Wellington, we can almost guarantee that you have eaten bread from Arobake. Max, founder and master baker, discusses the creativity that exists in the balance of exactness and freedom in baking. Arobake has been a staple of the community since 1989. During our time in New Zealand, people we met told us a few consistent things about this spot. People around Wellington drive across town to the shop and get their bread directly from the source. And, when a cafe has Arobake pastries, you know its high quality. Treats from this spot set the bar high in a city where cafes and coffee rule. We were excited to learn about the story behind the iconic bakery from Master-baker and founder, Max Fuhrer. Early on a Tuesday morning, we walked down to Aro Valley, not far from the famous Holloway Road and into the unassuming bakery. Sitting on the patio with a cappuccino and pastry in front of each of us, we spent the morning chatting casually about Max's interest in baking, his training, and the inspiration he finds from the constraints of a recipe. 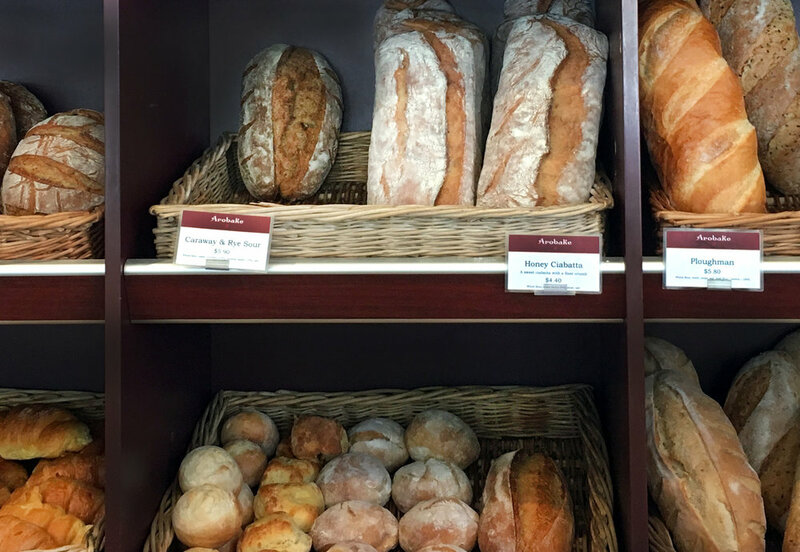 When Arobake got started in 1989, just across the street from where the bakery is today, there "was no branding ... we had these self serve cabinets that we taped closed because we didn't want people to self serve." He seemed almost shocked by the success but despite what may it looked like from the outside, word got out, and the product sold itself. Max, born and raised in New Zealand, grew up enjoying the traditional cooking of his German mother and Swiss father. Family continues to be is very important to Max. A father to six, he lives right behind the bakery so that he can scoot back for lunch to visit with his younger kids. The older kids have all spend time working at the bakery and one of his sons now looks after the day bakery. As a kid himself, at 13, Max and his family travelled to Europe. He remembers that it was there that he first got the idea to be a baker. Yes, at just 13 years old, he knew his calling. After high school, he started an apprenticeship with a baker in Johnsonville, further igniting his passion. After completing his hours, he studied at a trade school in Zurich and credits the time he spend there for his work ethic and attention to detail. Max’s relaxed New Zealand training, mixed with the discipline he acquired in Switzerland seem to be a powerful combination. The delicate balance of exactness and constraints fuels the creativity in his baking. "One leads to another. If you're in a regimented thing and everything is organized, it frees you up to be creative … it's like scales musicians do. I know the basic formula for a loaf of break: X amount of water and X amount of flour, but then you can add different things to it or you can change the fermentation process to enhance the flavor. You have those basics and you can quite easily write a bread recipe. I just made a bread with chocolate and brandy fig. It's quite crazy, when you toast it, the smell! We’re always trying to do different things." While experimentation is important, he also made sure to clarify the importance of consistency, particularly in bread-making. “For the bakers, we expect it to be done one way. So we sell to cafes and bakeries around the city, so consistency is key." One of the challenges came as the bakery grew and he had to hire more staff. "Letting things go was hard at the beginning, but you're better off investing in people." Today, Max feels more "like a businessman now," and spend much of his time mentoring his team. Now, if you haven’t already, go grab a cup of coffee and a pastry from this divine mecca of carbs.